This recipe was inspired by what I had in the cupboard and fridge. First I realized that I didn’t get blueberries at the store as planned for blueberry muffins. Then I saw that I had only a little non-dairy milk and vanilla. But the craziest thing was that I couldn’t find any flax seeds for a flax egg – they’ll probably fall at my feet tomorrow because I know they’re in there somewhere. 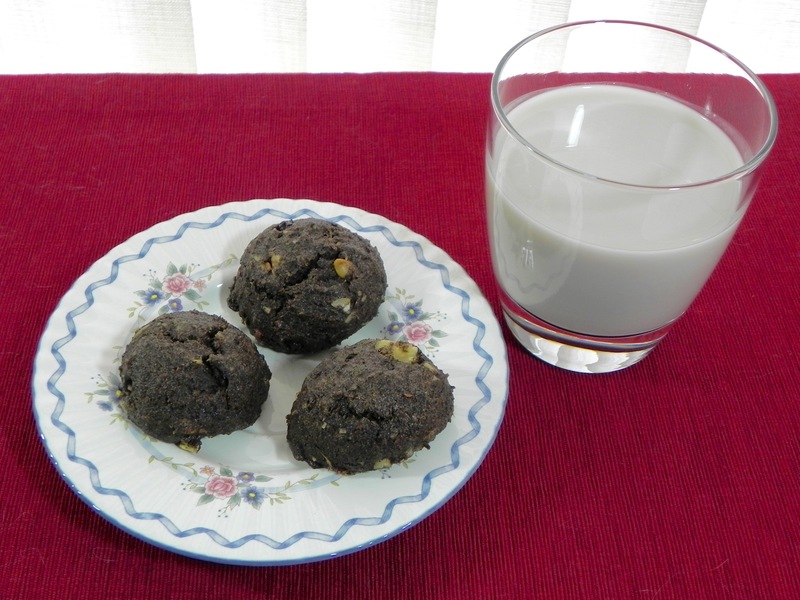 I came across this recipe and saw that it could be adapted by what I had at hand and it gave me a chance to try chia egg as a replacer. To make these vegan I used non-dairy milk, vegan margarine, and a chia egg for the non-vegan ingredients. For high altitude I added flour and milk and reduced baking powder. To make it healthier I used whole wheat instead of all purpose flour, and I made a streusel with dates instead of sugar. And, because I discovered I had frozen peaches, I used those for the fruit. The muffins turned out not too sweet and perfect for breakfast. Preheat oven to 375°F. Line 12 cups of a muffin tin with paper liners. In a small bowl, whisk together chia seeds and warm water to make a chia egg. Set aside for 10 minutes to gel. 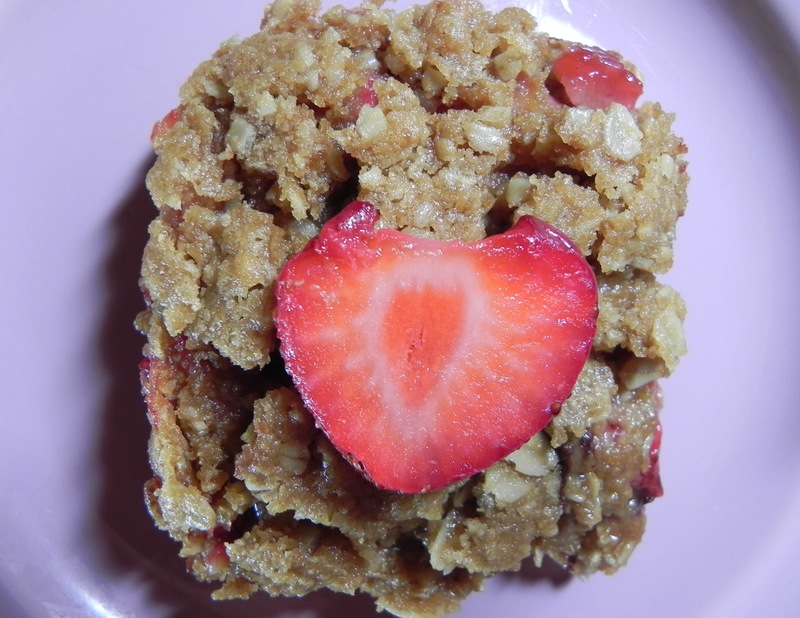 In a food processor, pulse oats, dates, walnuts, and cinnamon until you have a crumbly texture. In a large bowl, whisk together flours, baking powder, and salt. In a medium bowl, cream margarine and sugar. Beat in chia egg, vanilla and non-dairy milk, and mix well. Add liquid ingredients to dry ingredients. Mix until dry ingredients are just moistened. Gently fold peaches into batter. 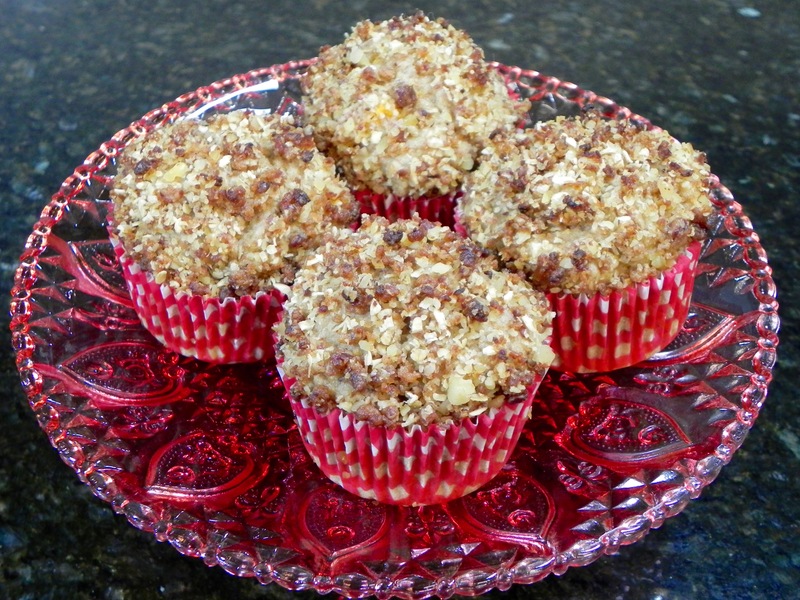 Distribute batter evenly into muffin cups and top each with streusel. 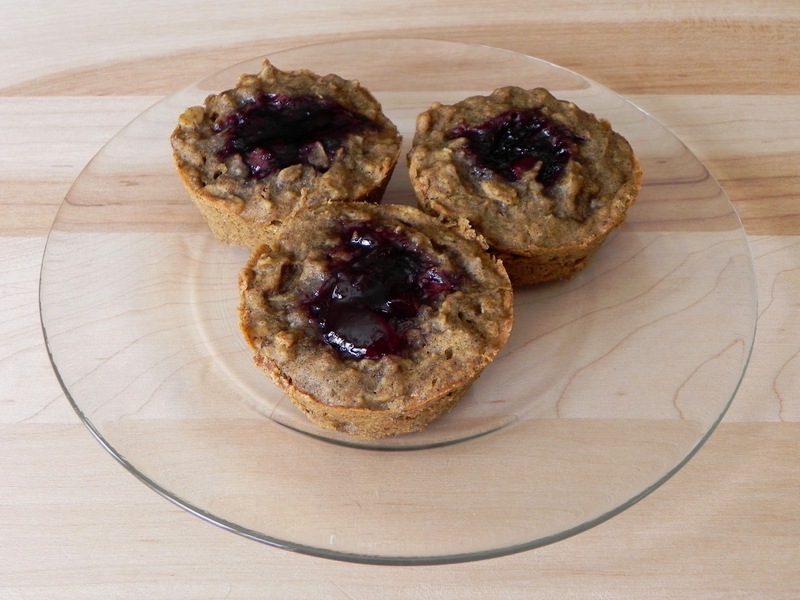 Bake for 22-25 minutes, until a toothpick inserted in center of a muffin comes out clean. Cool for 5 minutes before removing to a wire rack. Sometimes when I am searching for a baking recipe, I base it solely on an ingredient in my arsenal. I recently got Coconut Sugar from Navitas Naturals so that became my inspiration for this week. Upon scouring my cookbook collection, I found a cookie recipe that suggested coconut sugar as a swap for dark brown sugar. The recipe was already vegan so that part was accomplished. For altitude I had but to slightly reduce the amount of sugar and oil. I also chose to add jam on top to complement the peanut butter flavor. What I discovered after they baked was that they rose quite more than expected, especially as they were baked at high altitude. The cookbook describes them as a cookie, but I am inclined to see them as a marriage between a cookie and a muffin. That brings me to my new breakfast creation – the muffin-cookie, or mookie. Preheat oven to 350F and lightly oil a standard muffin tin. In a stand mixer, beat together peanut butter, coconut oil, sugars, milk, and vanilla until smooth. In a bowl, whisk together oats, flours, protein powder, and salt. Mix dry ingredients into wet ingredients with a spatula. Fill muffin cups 2/3 full. Use a spoon to make an indent in the top of each and put jam in the indents. Bake for 14-17 minutes, or until firm. Remove from oven and cool on a wire rack in the muffin tin. Store in a loosely covered container. Makes 12 hearty mookies. 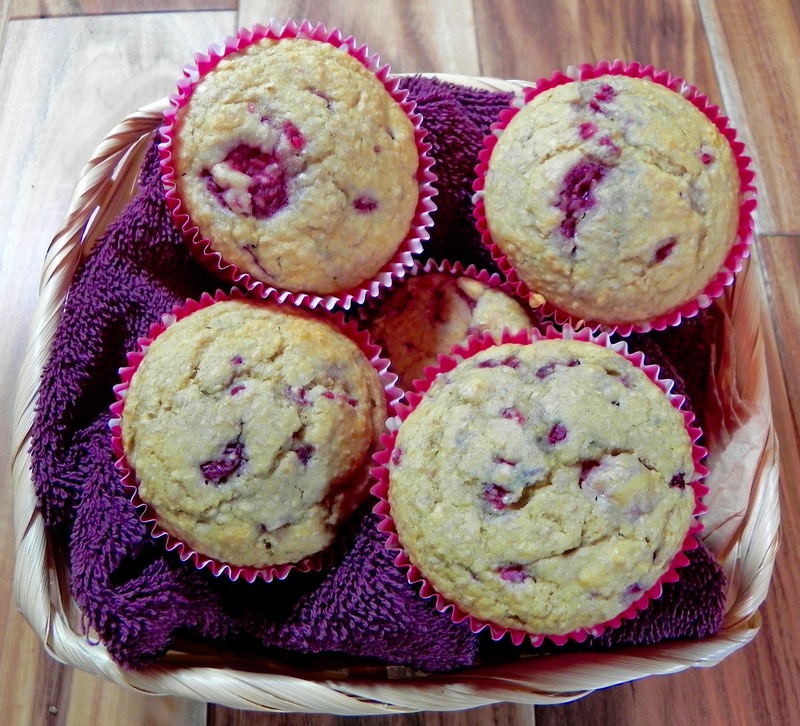 Waking up to a cold morning made me want a warm, hearty muffin to chase away the chill. I thought a bright burst of fruit, with some healthy bran, ought to do the trick. Looking through my cookbooks I discovered that I didn’t quite have the exact ingredients for anything that sounded good, so I baked some muffins loosely adapted on a few recipes. It’s kinda what I do. The recipe was already dairy and egg free, so I just made a few adjustments for altitude. The recipe was simple so it only needed a little extra flour and milk and a slight reduction in leaveners. I also used paper muffin cups instead of baking directly in the muffin tin so I wouldn’t have to scrape any dried muffins off the tin. Preheat oven to 350F and line a muffin tin with paper liners. In a medium bowl, whisk flour, bran, baking soda, baking powder and salt to combine and make a well in the center. In another medium bowl, whisk milk, fruit juice concentrate, and oil until surface is bubbly. Pour liquid ingredients into the well and stir just until smooth. Stir in the raspberries. Divide the batter evenly among the muffin cups. Bake for 18-19 minutes, until a toothpick inserted in the center comes out clean. Cool on a wire rack. Makes 11-12 muffins.